Konstantin Kokarev of the Moscow School of Social and Economic Sciences talked about the infrastructure and administrative challenges Russian faculty face when trying to find and apply for grants. OARS Director and active NCURA member Tricia Callahan is currently in Russia participating in an NCURA-US/Russia Social Expertise Exchange (SEE). She is blogging about her experience in a special series of posts here on OARS Research News.The views and opinions expressed here are those of the author and do not necessarily reflect the official policy or position of the US-Russia Social Expertise Exchange or Eurasia Foundation. Read Callahan’s report on Day 1 here. After opening comments and introductions among SEE members, organizations, and institutions, Shandra White, Director of Sponsored Projects and Research Enhancement at The George Washington University (GWU), shared about support services for researchers at her institution. The return on investment has helped grow sponsored funding at GWU and has helped alleviate administrative burden on faculty who engage in grant activities. 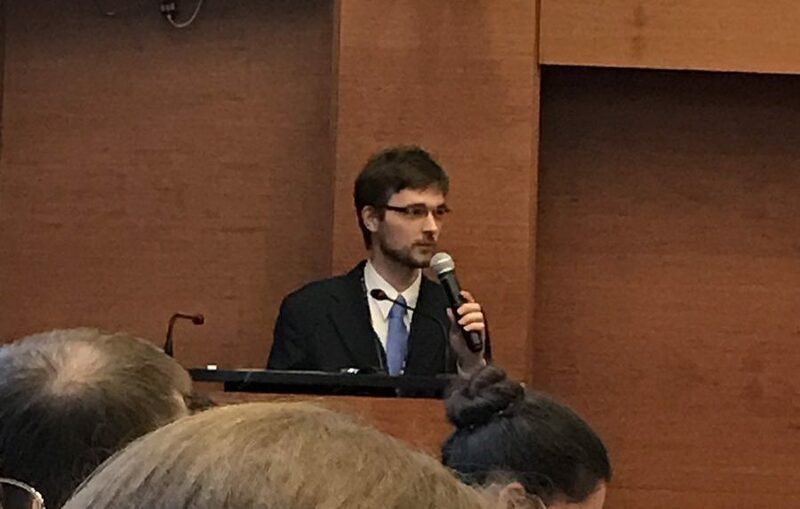 Following Ms. White, Konstantin Kokarev of the Moscow School of Social and Economic Sciences talked about the infrastructure and administrative challenges Russian faculty face when trying to find and apply for grants. Although Kokarev acknowledged differences in institutional structure, size, history and goals, he said our shared challenges make communication key between and within our networks. Rounding out the morning, staff from NCURA shared opportunities NCURA offers for professional development and networking in the field of research administration. Central to their presentation was a 50,000-foot view of the research administrator as well as NCURA publications and programs, including a recently established global arm. Written by Tricia Callahan, Director, Office for the Advancement of Research and Scholarship, Miami University and Special Exchange Participant, sponsored by the Eurasia Foundation. Photos by Tricia Callahan. This entry was posted in Grants administration and tagged research administration, Russia, social exchange. Bookmark the permalink.